Isha Jog – Expect nothing. Appreciate everything. 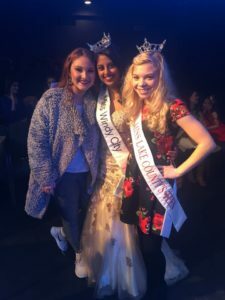 While the time between Christmas and New Year’s is usually one of relaxation, social gatherings with old friends, and simply unwinding, I decided to go the opposite route: trained and competed in the Miss Chicago/Miss Windy City 2019 competition on December 29th. 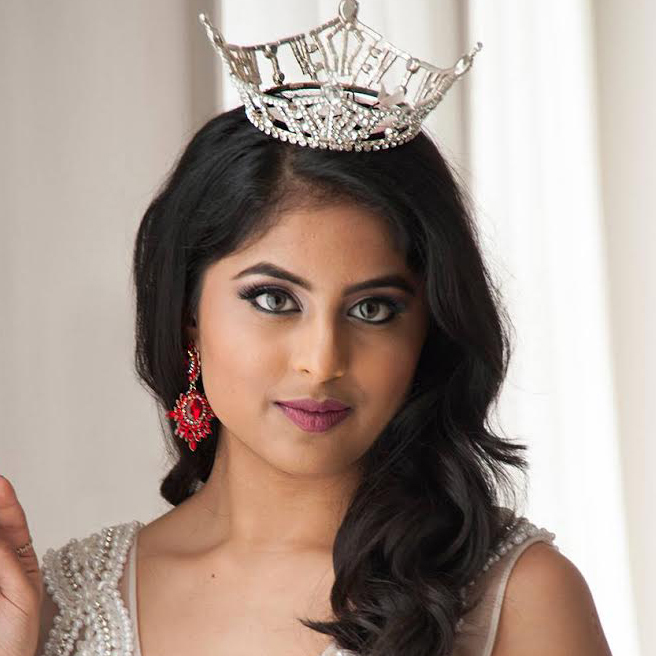 For those of you who don’t know my background, my involvement with the Miss America Organization began at the age of 17 when I placed first runner up for the state teen title as Miss Northern Suburbs’ Outstanding Teen 2012. 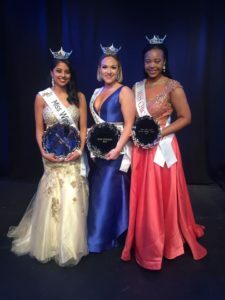 After aging up to the Miss division I held the titles of Miss Gold Coast 2016 and Miss Northern Suburbs 2017. All of those were great experiences so I always figured I would keep competing until I age out. And then 2017/2018 happened. With all the changes in the organization, I was hesitant and apprehensive about competing again. Although I loved the idea of the new changes and competition format, I honestly thought being too used to the old format for the past six years would be a disadvantage in competing. Well, after competing in the 2.0 formatted local, I can honestly tell you that it was wonderful. Here are my biggest takeaways. I challenged my mom Gauri Jog to choreograph and record this dance with me ten minutes before our guests arrived for Diwali dinner. It is such a pretty song! “Nainowale Ne” from the movie Padmaavat. It is always so much fun to perform with my mom. We will be posting more dance videos soon! Wishing all of you and your families a very happy Diwali! It’s 2018 – there’s no excuse to not stay informed and educated about what’s going on in our world. One of my favorite ways to stay up to date on news, trends, and inspiring stories is through my morning emails. 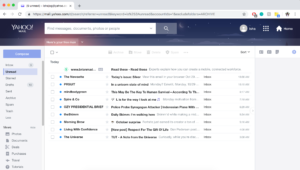 Of course, it’s a lot of information to digest so I pick and choose which ones to fully read every day, but I wanted to share all the ones I’ve found most useful. Feel free to click on the links to subscribe to them! So excited to kick off my Book Club posts, where I’ll be writing reviews of some of the books I’ve been reading this year. I’ve been going through a list of a self-help & meditation books recently, but I have to say that this one is that first one so far to actually resonate with me. Truthfully, my life has changed after reading this book. Disclaimer: Do not read these reviews until after you have read the book! Spoilers ahead. 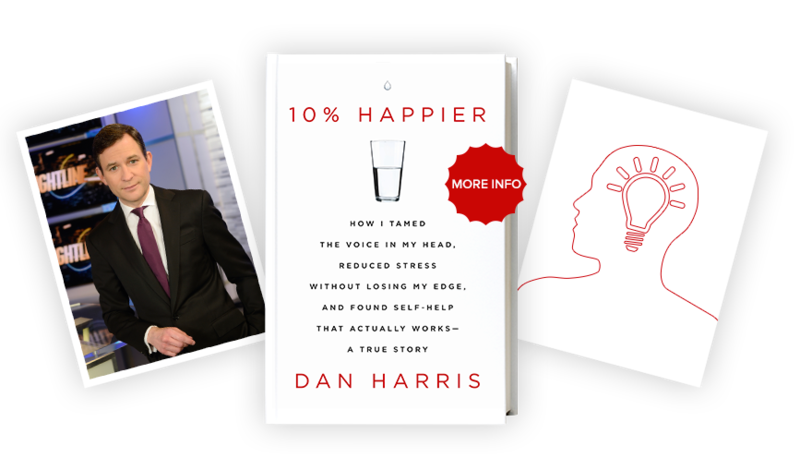 The author, Dan Harris, is a TV news anchor from New York City who has been on Good Morning America and Nightline. In this debut novel, he walks us through his discovery of meditation and mindfulness. As a reporter, he was given the role of reporting on faith segments around the world. Through this role he got the chance to meet and interview influential leaders like Eckhart Tolle, Deepak Chopra, and the current Dalai Lama. 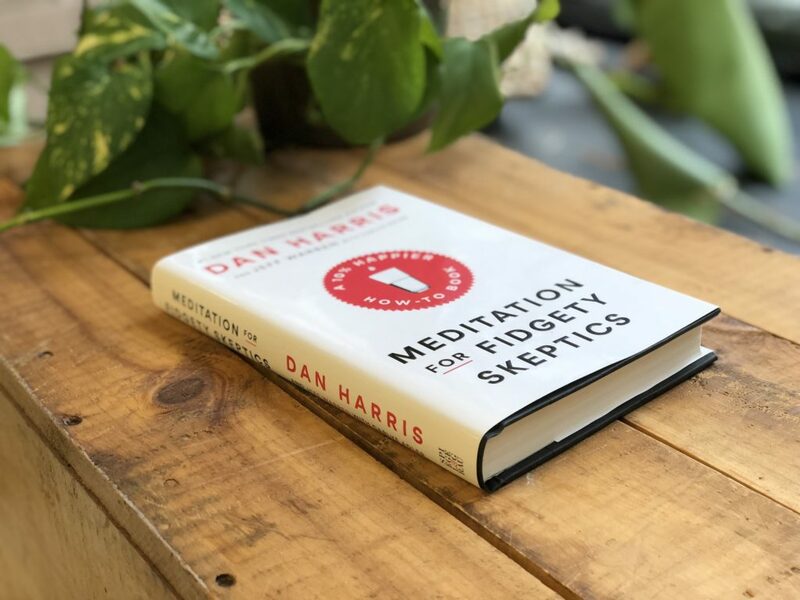 Harris, like me, was very skeptical about meditation. We all have that voice in our head and frankly it is hard to turn it off, even for a minute. Below I’d like to share some of my favorite quotes from the book. I feel the same way about meditation. It sounds great in theory, but man it’s difficult to actually do. Plus on top of that, we are all busy individuals. Fitting it into our day along with work, social life, exercise, etc seems almost impossible. The reason I resonated most with this book is because the author is so refreshingly honest. He never preaches, instead he walks us through his thought process while approaching these difficult to understand topics. It was also really neat to be able to read his behind-the-scenes explanations of events that the world simply saw on TV, like when Paris Hilton walked out of an interview with him and also when he had the panic attack live on Good Morning America. The best example of this to me right now in my life would be applying for a job. Prepare well, use your resources, present your best self…and then let it go when it comes to the results. We cannot control the external factors. Whatever the outcome may be, it’s important to know we gave it our all. On to the next one! 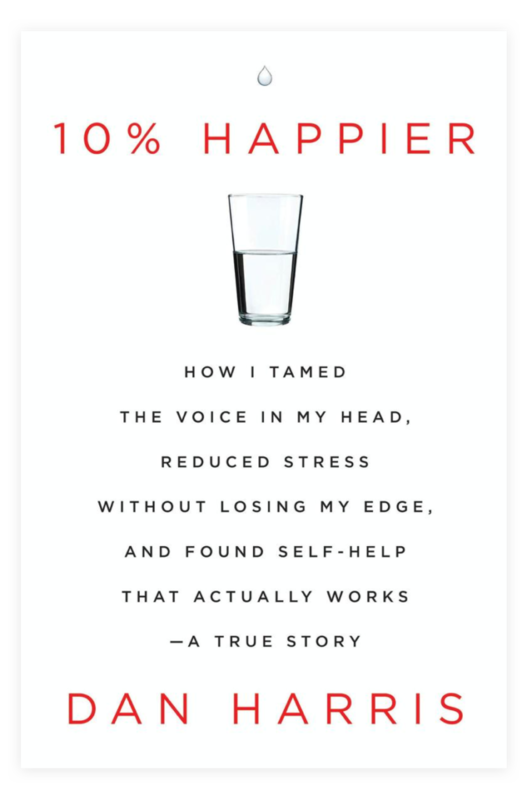 10% Happier was published in 2014, turns out he published a sequel, a how-to guide, last year! I look forward to reading it soon and learning more about his journey. Thank you for reading this brief review! Message me to chat further if you’ve read the book or are planning to, would love to continue this discussion! For the past five years I have battled severe Seasonal Affective Disorder. When I first heard about this type of depression, I couldn’t help but think it was just a made-up diagnosis for people who felt lazy, unmotivated, and sad in the wintertime. 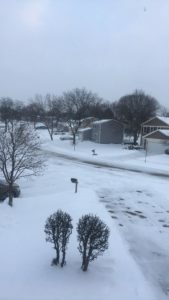 In fact, I so badly wanted to discount it that I used to laugh when former roommates or family members would bring it up to me as a concern, telling them that “everybody gets sad in the winter, c’mon we live in such a cold city”. But the fact of the matter is, seasonal affective disorder is a very real diagnosis that affects about three million people every year in the U.S. If you have low energy, feel depressed nearly every day, have problems sleeping, and have difficulty concentrating during a particular season of the year, I would urge you to look into it, it’s the first step in combatting the situation and feeling better. One of the first things that I did during my lowest point was get a physical examination done, the blood work results showed that I was extremely deficient in Vitamin D. While a normal level should be between 30 and 100, my results showed that I was at a 7. There is a proven correlation between low levels of Vitamin D and depression, so this made sense. I immediately started taking the vitamin supplements and am already feeling the positive effects. One of my New Year’s resolutions was to spend less time on social media, but I do this for many other reasons than just decreasing screen time. When you are in bed feeling lousy, it is almost hurtful to your self-esteem and mind to be scrolling through photos of people with their curated lifestyles of perfect bodies, relationships, careers, vacations, and friends. Nobody has the perfect life but when you are feeling low and constantly viewing other people’s edited, always fascinating highlight moments, it is hard to remember that. I deleted the app off of my phone and have already decreased the number of times I felt the temptation to check in. Some of the symptoms of seasonal affective disorder include feeling anxiety, general discontent, and loneliness. Staying organized keeps me busy and keeps my mind from pondering upon anxious situations from the past. I find it soothing to label in my workout of the day, meal prep, important deadlines from work, and other obligations into my planner. It also reminds me that even on the bad days, there is something really exciting or fun to look forward to in the near future. Sometimes during these harsh winter months I feel like I just end up hibernating at home and keep cancelling social obligations. Then with that new free time I just acquired, I sit there feeling sad, lonely, and unmotivated. One way I combat this is through mindless crafting. I’m not really an artist, so what I count as being “crafty” is literally just collecting screenshots of wonderful and powerful quotes I see through the day from different social media channels, emails, and books, and I write them into my book of quotes. I always feel a sense of peace and calmness when I reach into my purse to read through this book or to add a new quote. There is so much research that says that working out immensely improves your mood when you are feeling down and helps you release endorphins, the body’s own natural anti-depressant. 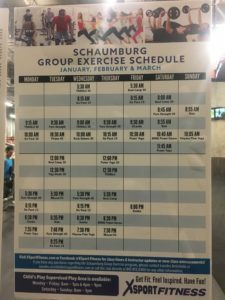 In my particular situation, although I understood that exercise was important, the idea of going there alone and having to manage my hour there by deciding my workouts didn’t motivate me enough to leave my bed. This is when I discovered the beauty of workout group classes. Through apps like ClassPass you can do anything from strength training to cycling to Zumba, all with someone guiding you in a social atmosphere. I have become way better at actually completing a workout by attending classes instead of chilling on my bed just counting down the reasons why I could skip that night’s solo guided sweat session. At my work, we have very limited sick days. Many of us try to brush off days when we feel under the weather and still stumble through that day of work or of classes and studying. After way too many years of doing this, I finally learned that it is perfectly okay to take that mental health sick day once in a while when you need it, it can immensely help the situation right then and there instead of prolonging it for weeks on end. We have our bodies and our minds for a lifetime, it is important to treat ourselves with respect and love. Being social doesn’t have to involve getting dressed up, stepping into the cold weather, and making that effort to meet people at a bar or coffee shop. During these cold winter months I have f0und it rather comforting to make a hot cup of tea, snuggle up in a warm blanket, and FaceTime or Skype some of my long-distance friends. Some days are definitely worse than others, and in those moments I have thought, “I am seriously never going to get through this.” As many of my close friends know, my last semester of college was particularly rough, for non-academic related reasons. I truly did not think I would I would survive that whole situation with my sanity intact. Thankfully, I am here one year later feeling happier, healthier, and stronger than I have ever been. Thinking back on difficult past situations that we pushed through reminds us of our inner strength and how much we really can handle. My seasonal depression tends to hit the hardest around January, right when everyone is making their New Year’s resolutions. 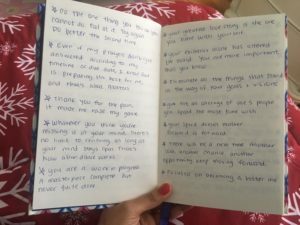 I added unnecessary stress to myself by creating lists that have giant goals like “start my own company” or “train to run a marathon”. While it is fantastic to have big ambitions and slowly chip away until you reach them, it is unhealthy to just see those big goals all the time and beat yourself up for not reaching them in an unrealistically short amount of time. 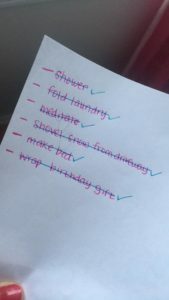 This is why I started making every day simplified to-do lists that contained the most basic every day parts of my routine like taking a shower, meditating, and shoveling snow. I started going to bed every night feeling accomplished for getting many minor yet significant items accomplished, rather than feeling frustrated for totally failing every day. While researching seasonal affective disorder and its treatments, I found a lot of unique information. Like I mentioned at the beginning, I really did not think this even existed. Watch this video to learn more about the science behind the disorder. There are many other treatments I haven’t mentioned in this post, because I wanted to focus on the ones that I have had direct experience with. Other treatments include light therapy, medications, psychotherapy, and stress management. 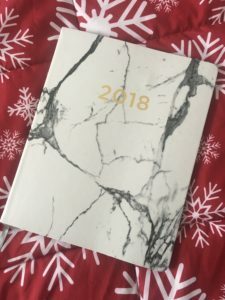 Thank you taking the time to read this post! If you or anyone that you know may be feeling the effects of seasonal affective disorder, feel free to send me a message so we can chat more about it. Remember, life is too short to spend at war with yourself! With the right tools and resources we can take steps towards living a more positive and fulfilling life. Hi! 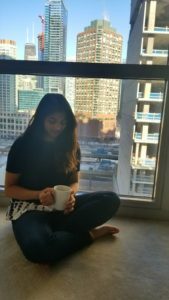 I'm Isha - a twenty-something blogger living in the beautiful city of Chicago. I love to read, swim, and cross things off my never-ending bucket list. Thanks for visiting!